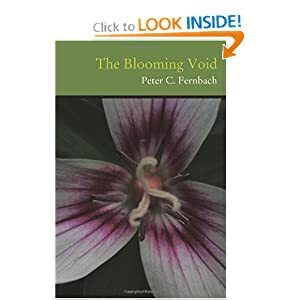 Peter Fernbach, Assistant Professor of English at Adirondack Community College, is concerned, lately, with the transformative and liberating effects of poetry on the unconscious mind, especially of those who are still impressionable and exploding with exuberance and possibility. He thinks that poetry, as an art, and also as an epistemological approach, is undervalued in our increasingly semiotic culture; the ways of knowing that are provided by and through poesis are progressively being choked out in favor of a simplistic empiricism that allows for none of the nuance of the mystifying reality of which we are all a part. Therefore, most of all, he invites you to read. My Take on the BookThis is a book of poetry. It is free form with immense meaning. It will make you think and question and wonder. The table of contents lists a variety of subject matter. Some of the topics are : THE MOON, YELLOW WARBLER, MORNING COFFEE, BIKINIS ARE OUT, and LOSS. The first poem I would like to tell you about is called WE READ WITH DIFFERENCE. It is a perfect description of how two people reading the exact same passage, but because of their personal perceptions, history, and views , understand it in two totally different ways. That does not make their impressions right or wrong but talking about differences can lead us to a better understanding of the other person.Who knows you may find some common ground. YELLOW WARBLER compares the writer to a bird. He compares his movement through life like the bird. Sometimes the bird is pushed this way or that way. Maybe at times it seem there is no headway . So can our days seem in a disarray . Once we survive the pushing do you keep moving forward like the bird? The last one I would like to share is MORNING LIGHT. The writer describes how our free will leads us to make decisions : some good and some not so good. But our author continues to say that in the midst of our missteps and follies we can find a resting place of solace. Our writer's solace is by the side of the person in his life. This book had poems about life. The author writes of emotion, life's everyday activities and challenges, and definitely observations. He gives us a chance to think about our issues and presents us way to look at them and evaluate them in our own life.